Proton Products (UK) has launched the Intelisens series of non-contact laser Doppler speed and length sensor. It features a CAN interface to connect displays. The laser Doppler sensor is intended for speed and length measurements of moving objects and materials in industrial applications. It is designed to replace cumbersome, inaccurate, and high-wear contact-wheel speed and length measurement devices in industrial processes. Contact-wheel encoders are prone to excessive measurement errors due to slippage, vibration, wear, and dirt accumulation. The used non-contact measurement technique provides an accuracy of ±0,05 % without need to re-calibrate due to wear. The sensor features a 200-kHz internal measurement rate with one measurement output every 20 µs. The measured speed and length values are available at the CAN interface, which supports Devicenet. Typical applications include machines in textile and leather industries as well as in plastic film, foil, tape and liner industries. It is also suitable for paper, corrugated and packing materials machines as well as rubber and synthetics processing machinery. 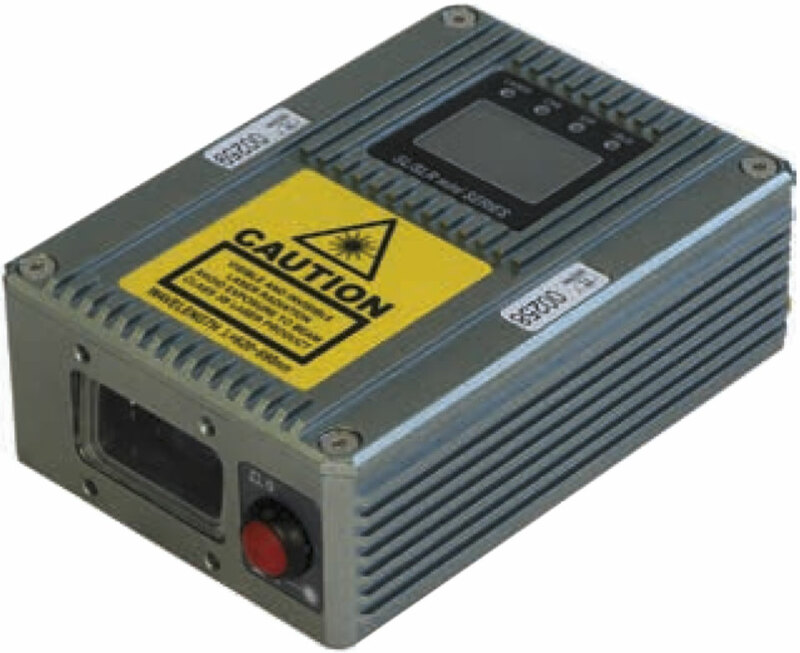 The IP67-rated devices measure speeds up to ±5000 m/min and length of 120 m or 300 m depending on the version. The sensor devices illuminate the measured surface with an interference pattern created by the intersection of two laser beams. The alternating bright and dark interference fringes modulate the light scattered by the object with a frequency proportional to the object speed. This scattered light is detected by a photodiode and the electrical signal digitally processed to determine the frequency and hence the speed. Object length is then calculated by integrating the speed measurement over time. The sensors gauges extend this principle by using a high-frequency Bragg cell modulator to illuminate the measured surface with a scanning interference pattern, which generates an oscillating light signal even when the object is stationary. The direction of motion is determined by whether the scattered light frequency is higher or lower than the stationary frequency.